In this article, we will focus on a few of the most popular food dehydrators made by Nesco. These machines have become popular on account of their accessibility and compact design. But they are also very versatile. We’ll help you find the right model to fit your needs in this Nesco food dehydrator review. Food dehydrators have been around for quite a while. Most of them have been living in the back of an attic somewhere with some (but not all) of their original parts. That’s mostly due to the infomercial frenzy that was the 1990’s where flamboyant salesman would pitch you on their miracle machines. 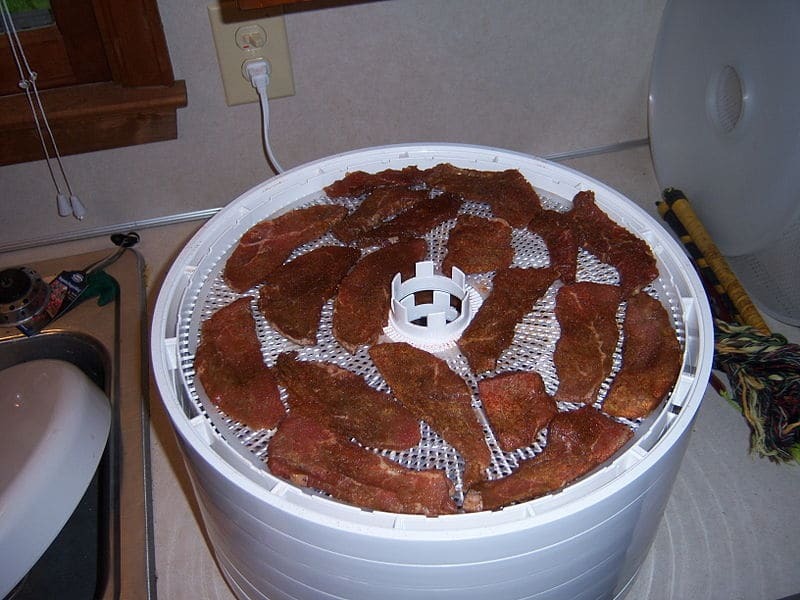 Fortunately, food dehydrators have ditched the hype men and focused on performance and function. Now with more simplistic designs and better craftsmanship, these kitchen appliances deserve a spot on your kitchen counter. The most popular incentive for food dehydration has always been a healthy diet. And they are indeed a great way to improve your eating habits. Low maintenance, easy to use, BPA free food dehydrators require minimal effort on the part of the user. In fact, most models can be left alone for hours, or even overnight. 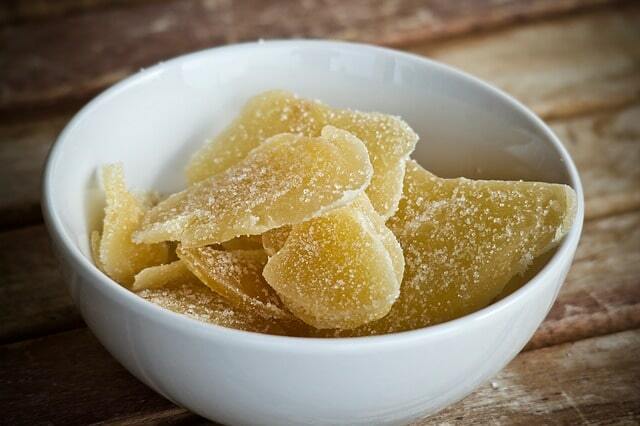 However, there are plenty of other benefits to using a food dehydrator on a regular basis. 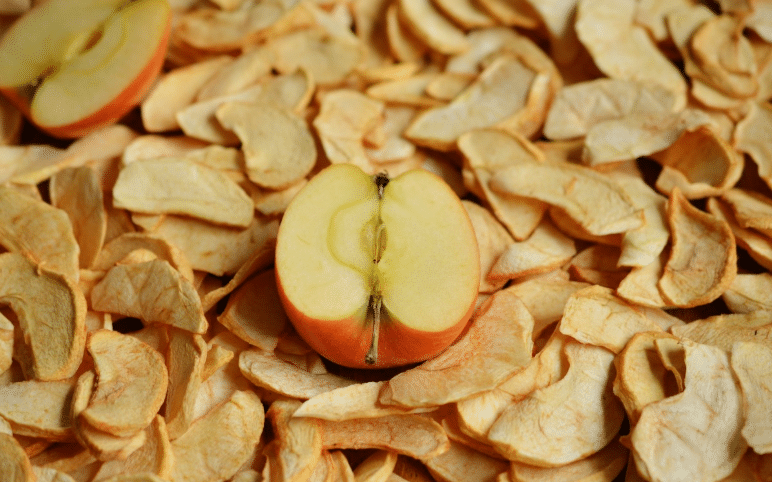 While the upfront cost of a food dehydrator may be a bit daunting when first breaching the world of dried food, the return on investment is well worth the purchase. Walk through any grocery store and compare the price of one bunch of bananas to a bag of banana chips. Better yet, check the price of quality beef jerky and break it down to the price per pound. The difference is mind numbing. Now consider the waste that store-bought snacks produce. Those boxes of granola bars are individually wrapped inside of a cardboard box. Even worse, the fruit rolls are wrapped around plastic, wrapped in plastic, and placed in a cardboard box. Maybe that’s why store-bought products are so much more expensive than homemade alternatives? But the best thing about a food dehydrator is the world of possibilities it opens up for you and your recipe book. Creating dried meat and vegetables provides you with a secret weapon for seasoning a hearty stew, while homemade raisins will give your chicken salad an extra kick. Outside of improving old recipes, a food dehydrator turns any kitchen into a bakery with the ability to make a dough rise properly. Or maybe you’d like to dry your own hops and give homebrewing a try? The fact is, food dehydrators are no longer a novelty gift for that person who has everything, they are practical kitchen appliances that deserve a spot on your kitchen counter. Nesco makes that easier with this line of food dehydrators that are expandable allowing you to use only the space you need. We have put together a great Nesco dehydrator comparison to help you make the right choice when thinking of getting a food dehydrator. This Snackmaster Express is a basic model designed for low profile dehydration. By low profile, I mean routine drying of commonly used ingredients: fruits, vegetables, and meat. One unique feature of the Snackmaster is the jerky gun accessory. With three different tips, the jerky gun acts like a piping bag so you can make uniform pieces of jerky. A 500 Watt fan is mounted to the top which keeps liquids from falling on important components, but it also obstructs the view of the ingredients inside. It comes with 5 stackable trays and a primitive, yet effective Nesco dehydrator temperature dial. The top-mounted fan prolongs the life of the machine because the ingredients drip into a drip pan instead of on top of the wiring and heating element. This also makes the machine easy to clean than bottom-mounted fans. There were quite a few positive comments about the jerky gun. Most people commented on the professional appearance of the finished product and many had success using the gun for fruit, too. The number one complaint about this model was about the lid. Because of the top-mounted fan, the lid is not dishwasher safe and requires detailed cleaning. Other negative reviews pointed to long drying times. 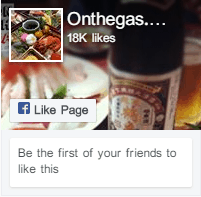 In some cases, reviewers reporting running cycles twice as long as the recipe stated. Finally, for as many positive reviews about the jerky gun, there were just as many complaints about it being flimsy and even dangerous. This model is great for occasional use because it’s compact enough to put store under a counter when not using. 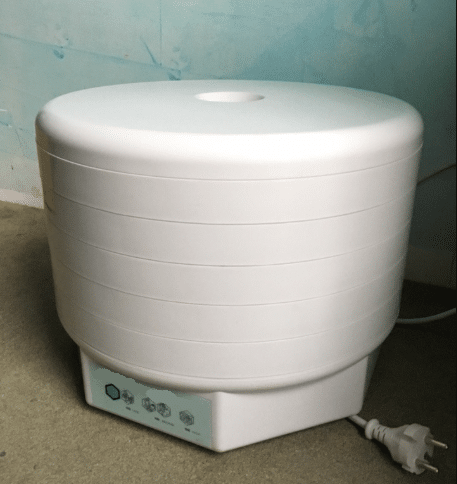 The small design and makes this machine useful for people on the go, or very small families. If you need to produce anything above a few servings of food, this machine is not for you. This Nesco Pro Food Dehydrator picks up where the Snackmaster left off. Upping it’s motor to a 600 Watt fan, the Pro offers the same top-mounted fan and 5 tray system. However, this model is expandable up to 12 trays (sold separately, of course). The Nesco Pro also features a Conerga-Flow drying system that claims to create even drying across all food trays. The adjustable thermostat is still a fairly primitive dial system with a range of 95 to 160 degrees Fahrenheit. 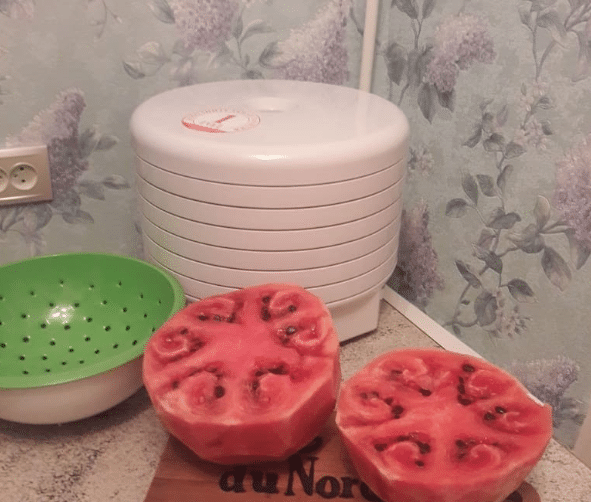 While the low end of that range makes the Nesco fruit dehydrator ideal for fruits and vegetables, the max temperature falls short of effectively drying meats. The USDA recommends all meat reach an internal temperature of 165 degrees Fahrenheit while drying. Features: 600 W top mounted fan. 5 trays but expandable to 12. Converga-Flow drying system creates even drying, adjustable thermostat (95-160 F), 2 fruit roll sheets, 2 clean-a-screens, 3 jerky spice packs, recipe book. The ability to expand to 12 trays from 5 makes this extremely versatile. Essentially, this machine can be a compact, personal dehydrator, or a beast machine that cranks out enough food to feed a small army. There were lots of great reviews on the overall performance of this machine and the quality of construction. The number one problem with this machine is that there is no timer. Although this can easily be fixed by taking the timer off of your Christmas lights, there is no reason not to have one built in. There were more than a few negative comments about the accuracy of the thermostat. Of course, this problem is inherent with any free moving dial system. There were a handful of reports of slow drying times. Though this could easily be user error. The Nesco Pro is trying to be all things to all people. The ability to add 7 more trays to the original 5 is great in theory, but a 600 Watt fan pushing air through 12 trays seems dubious at best. However, Nesco insists that the Converga-Flow system is designed to function with all 12 trays. The Converga-Flow system forces air down the exterior pressurized chamber and then horizontally across each tray. This cross convection makes for fast and even drying times. Seems good for a family of any size, but best for hobbyists not professionals as temperatures can be inaccurate and vary from one level to the next. Raising the bar from the Nesco Pro is this Nesco Gardenmaster. With a 1000 Watt, 5-inch fan, the Gardenmaster makes the Nesco Pro and Snackmaster look like Easy Bake ovens. The Gardenmaster also improves on the previous models by offering a 4 tray system that can expand to 20 trays (again, the extra trays are sold separately)! But the biggest advantage the Gardenmaster has over the previous models is the addition of a digital display. Featuring an adjustable digital thermostat with a range of 90 – 160 degrees Fahrenheit, and a programmable timer, the Gardenmaster offers convenience and precision. The ability to expand to 20 trays gives you the versatility to feed a small family or host a large party. And by a large party, we mean a LARGE PARTY! Like maybe a wedding or week-long hiking trip? Many reviewers praised its easy to clean design with removable trays and wide open contact surfaces. There were more than a few rave reviews on this machines overall performance and time of drying. The majority of negative comments focused on the plastic trays which were often called flimsy and cheap. For as many positive reviews about drying time, there were just as many complaints about drying time. I guess it’s all relative, right? There were a handful of reports that the heating element burned out after a year or two, but this seems like an exception to the rule and not the norm. Designed for the avid gardener and, therefore, heavy use the Gardenmaster can handle massive amounts of food at once. That’s why they bumped up the motor to 1000 Watts and gave it the ability to expand to 20 trays. While there were a few reports of poor performance it seems like most reviewers were happy with this model. This Nesco FD-37A is the perfect model for those who just want to dip their toes in the proverbial water. Designed for light use, this basic model will give you adequate dehydration without breaking the bank. 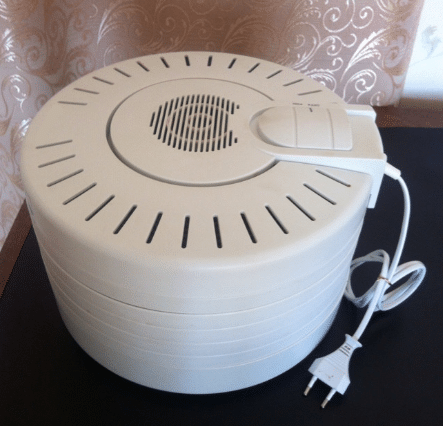 The 400 Watt motor pushes air through the trays from the fan mounted on to the lid. While it can expand up to 7 trays, there are only 4 trays included with the machine. The Nesco FD-37A claims toevenly distribute air to the ingredients using a fan forced radial air flow system. So, no fancy Converga-Flow in this model. Features: 400W top mounted fan, 4 trays but expandable to 7. Fan-forced radial air flow, dishwasher safe trays. The compact design makes it easy to transport and store in between operation. Most positive feedback focused on the versatility of the machine, especially in regards to the expandable tray system. Other positive comments involved users who only needed the most basic functions to accomplish their tasks. Like all top-mounted fan models, there were a lot of complaints about the lid not being dishwasher safe because of the fan. The main issue with this model is the lack of a thermostat. Since there is no adjusting the temperature, this machine is permanently set at 160 degrees Fahrenheit. Finally, there were a few reports that it’s quite loud while in operation. Obviously designed for light use, this machine provides the bare necessities for drying food. Although the expandable trays are a thoughtful feature, the idea of a 400 Watt fan pushing air through 7 trays is questionable. This machine would be ideal for couples, singles, and small families who just need weekend trip snacks, occasional breakfast foods, or jerky. These Nesco food dehydrators are geared more toward beginners and lightweight cooks, than the avid gardener, hunter, or forager. While there is plenty of expandable space on some models, the power seems underwhelming. Even the Gardenmaster with 1000 Watts of power seems poorly matched for a 20 tray system. If you’re thinking about buying your first food dehydrator, or if you’ve always been a little curious about the process, a Nesco food dehydrator could be a perfect fit for you. After all, the money you’ll save by not purchasing specialty items in the grocery store will cover the cost of one of these machines in no time. 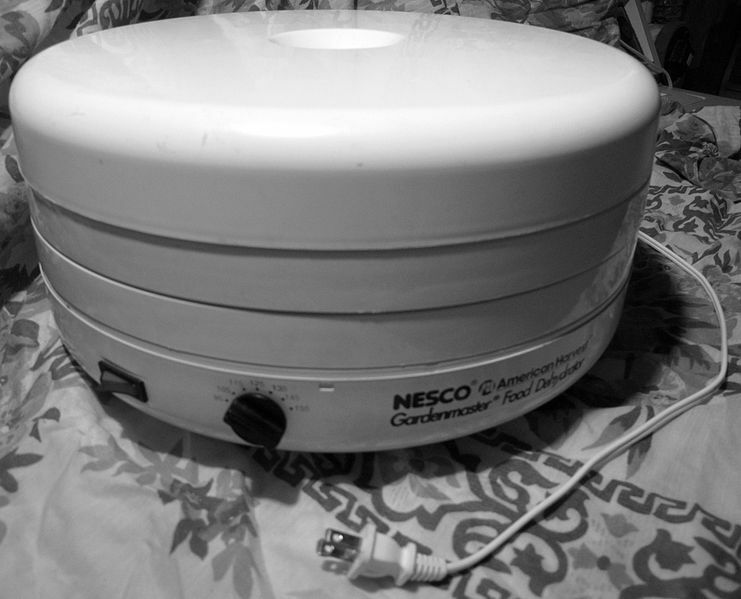 We hope this Nesco food dehydrator review helps you find the model that best fits your needs. 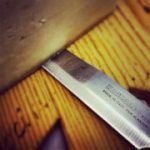 While there are plenty of flaws in these machines, they can be a great addition to your kitchen with light usage and proper cleaning.